Preserving the age old tradition of handicrafts, Quality Products of India is one stop solution for all the furnishing needs of individuals, corporates, builders and interior decoraters. The versatile collection of products include decorative items made of wood, metal, natural stones and acrylic materials, besides the range of home furnishings. Our range of bath sets are designed to transform an everyday bathroom into a safe haven for relaxation and refuge. These sets are available in variety of contemporary and classical design at the most reasonable prices. Crafted to perfection, our bathroom fittings are the right mix of form and functionality. Choose from our wide range of products and give your bathroom a complete look. A perfect way to compliment the bathroom vanity, we bring an exclusive collection of mirrors in different sizes, shapes and finishes. We offer a unique range of wall racks in variety of oriental design that blends with every decor. These durable racks have special coating that protects it against rust. Cute, simple and easy to use, this bamboo salt box has an easy slide-off top. It has enough space to store spices and other items too. A great way to spice up the garden, the sparkling gazing balls are sure to attract the attention of every onlooker. These balls are beautifully adorned with mirrors that glitters in the sunlight. Add a touch of festivity to the decor with exuberant range of colorful christmas hanging. We offer christmas hangings in variety of shapes such as stars, heart, ball and more. Illuminate the interior in the most stylish way with our exclusive collection of decorative lantern. We have a large selection of decorative lanterns made of glass, fabric, terra cotta and metal. 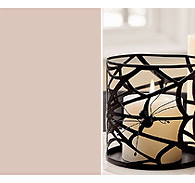 Votive candles are designed to punctuate any nook or cranny with a warm, flickering glow. 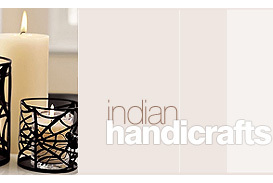 These clean burning votives can be used to add serene touch to the ambiance. We present a stunning collection of X-mas candle stands that adds a defining look to every interior. These stands are available plethora of attractive designs to choose from. Captivating and collectors' item, our elegantly designed bird baths bloom the beauty of the garden. Adding sparkle to the panoramic views to the garden, these bird baths enhance the grandeur of the surroundings. This unique collection of traditional and antique copper handicraft reflects elegance and glaze. These handicraft items are exquisitely crafted using high quality copper. Our range of garden accessories includes a host of decorative like different bugs figurine. Having high utilitarian value to enhance the ambiance of the garden decor, these figurine bugs are available in a variety of sizes and finishes. Our range of collapsible unusual lanterns fit right in with any contemporary décor. They brighten any porch or garden gathering with pleasing light to create a soothing ambiance. Fountains are one of the most popular decorative accessories used in outdoor areas to enhance the ambiance. The pleasant flow of water helps block background noise and enhance the tranquility and peacefulness of the area. We offer a range of quality furniture that are designed to add a stylish look to every interior. These stylish furniture are highly functional and easy to maintain. Add an element of fun to the garden with an exciting range of wrought iron Garden Stakes. These stakes are ideal for supporting plants in herbaceous borders and pots. We offer an exciting range of garden T-lite on stick that flaunts the beautiful creation in a subtle light effect. These lites are made from resin and have been finished in realistic colours with a sprinkle of glitter to give it a sparkle. Our range of garden gongs are much more than a decorative piece hanging in the garden. The rimmed metal disks are sonorous in nature and produces a loud sound when hit. Create a romantic ambiance in the garden with exclusive range of Garden Lanterns. Every piece of lantern individually handcrafted to create an exceptional landscape lightening designs. Our easy to assemble obelisks are ideal for perfect for adding character and style to any garden – large or small. These obelisks are ideal for growing wide range of climbing plants such as sweet peas, roses and clematis. Add a romantic flair to the surrounding with our exotic range of oil burners. Made from finest quality of material, these burners are finished with great attention to every detail. We offer robust and functional path markers that will stand the test of the time and use. The markers are bold, authoritative and demand attention. We offer an engraved plant markers with exceptional durability. Plant and flower labels have a special epoxy all-weather tape. We offer a functional range of planters that enhance the beauty and appeal of every garden. Made from best quality of material, these planters are highly durable and completely resistant to all weather conditions. Our range of rain chains are an elegant alternative to downspouts. These chains carry rainwater from the gutter to the ground in a graceful fashion, creating a striking visual accent at the exterior of the home. Put a bit of enchantment in your garden with our beautiful collection of stepping stones. These Stone adds a perfect finishing touch to the outdoor area. Capture the ancient art of astronomy to know the time by the movement of the sun with our exclusive range of sundials. These dials not only evoke the memories of the past but also represents a fitting introduction to the garden design. We present an exotic range of cans with comfortable handle for controlled watering and easy carrying. Nothing can compare with the elegance of our handcrafted metal/wooden CD & DVD racks. Lending an aesthetic touch to home decor and interiors, each rack represents the workmanship of highly skilled master-craftsmen. We offer the largest selection of decorative and functional door bells for front door, front porch, driveway, yard and garden. We present a wide range of functional door stoppers and curtain hook in plethora of designs to choose from. Our collection of jewellery box display a unique blend of classic and contemporary art. These boxes are handcrafted to perfection by experienced craftsman. Create an enchanting effect with our exciting range of lightening products. The range includes lamps, T-lite holders and more. Complete the vanity set with our enticing range of looking mirrors in beautiful frames. Available in different shape, sizes and finish. 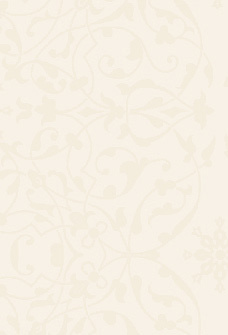 We offer an elegant range of wall decors that are designed to compliment both modern as well as traditional settings. Made from finest quality of raw material, these wall decors display innovative design and excellent finishing. Our range of wall plaques are specially designed to enhance the look of the domestic or commercial setting with their gracious presence. These handcrafted plaques are available in several designs with a multitude of options. Our range of wall sconces are designed to perfectly blend with both traditional as well as contemporary interiors. Designed with perfection, every piece of wall sconce depicts classical style along with functional design. We offer the most striking collection of wind chimes that makes an ideal gift for some one special tp you. These chimes tingle with breeze and produce the melody that is not only soothing but also fills the air with serenity. We offer a unique selection of garden games to create an environment, full of fun and frolic. These games are ideal to hook up both children and young ones. Our selection of garden games includes puzzles, chess, cards and more. We offer cake molds in variety of shapes with a lot of details. These molds make cake attractive and presentable. We offer high quality cutlery sets made from rust, stain and corrosion free stainless steel. These sets feature smooth finishing and ergonomically design. We present a distinctive collection of dining accessories that makes every dinner a special treat. These stylish accessories are crafted with perfection to achieved the desired look and finish. We present an innovative way to display the coffee mugs with an exclusive range of mug holders. These holders features sleek design and durable structure with modern design. Our range of napkin holders are traditional, with a classic and less formal look. Available in different designs at the most affordable prices. Turn back the hands of time with our gramophone. The golden hue of the gramophone will shines through in any home or office. Our range of trivets are used to protect the dinning table from heat damage by placing it between serving dish and table. These trivets also makes an attractive display leaving an impression on the guests. The most important accompany of any voyage, our range of binoculars deliver clear vision in the worst weather conditions. The design and the elegant look of our clocks makes them an ideal for home decoration as well as corporate gifting. High in quality and extremely durable, our clocks are available in variety of contemporary and classic design. Designed to please connoisseurs, our compasses are fully functional replicas of antique ones. While most of our compasses are polished to a bright high-luster finish, some are available in an antique brass patina. Presenting a stately and elegant globe that combines a majestic colonial look with exquisite finish. A dignified desktop globe that goes beyond the most traditional styled globes. Symbolizing ships and sea, our collection of Nautical Wheels are considered to be the most elegant, handsome and versatile decorative pieces. They add an old nautical touch to any room of a house. We unravel the traditional way to measure time with our exclusive collection of sand timers or hourglass. These valuables have been valued as collectibles and gifts for special occasions. We present a splendid collection of bells that are designed for the interior and exterior decoration. Making the home décor more beautiful and appealing, these bells are suitable for festival decoration especially Christmas and Diwali. An stylish way to keep the books shelf tidy, our book are perfect for study table or book shelf. Add a regal touch to the work table with our exclusive collection of traditional inkwells. We offer high quality magnifying lenses that are highly corrected for spherical and chromatic aberration. These lenses can be used in laboratories, workstations or even for reading articles. Our range of paper clips are designed to hold the papers securely and prevent tearing. These clips are also perfect for coding and flagging. Available in different sizes, our clips are highly durable and free from rust and corrosion. Our pen holders have is a blend of traditional and contemporary design that blend well with casual and formal surroundings. These artistically crafted pen holder act as valuable companions on the study table. Presenting the best accessory to keep the visiting cards on hands. Available in spectrum of designs to choose from. Our armillary globes are the exquisitely crafted decorative items that are available in perfect finish. Made of high quality metals, these armillary globes are ideal decorative pieces - for office decor as well as the living room. Live the luxurious lifestyle with our attractively designed ashtrays, which are available in various eye-catching designs. Whether holding the cigarettes or collecting the ashes, our ashtrays are the ideal one. We offer beautifully handcrafted baskets that are perfect blend of utility and beauty. Lightweight but strong, these baskets are provided with beautiful carvings to make it attractive. Choose from a variety of stainless steel bowls to add glitter on the dining table. Easy to clean and maintenance-free, these bowls are designed to be used for different purposes as these are available in various designs, finishes and sizes. Made from top quality materials, coasters & placemats are highly appreciated because of exclusive design and functionality. We have utilized various metals to produce amazing collection of napkin rings. Clean lines and visually appealing styles of our napkin rings, make them the preferred choice for all kinds of dining decor. Our range of photo frames are designed to preserve the precious moments of the life in the most stylish manner. The handcrafted frames are a perfect blend of innovative designing concept with traditional craftsmanship. Our stunning collection of statues behold the prudence and impression creativity that lasts for long. These statues are the masterpiece created by the expert craftsmen from different parts of the country. 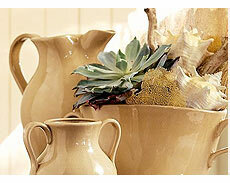 Smooth surface, innovative designs and variety of styles this unique collection of vases highly aesthetic. A wide range of decanters is available in exquisite designs and unique shapes that is quite noticeable. Available in different color combinations, these decanters have smooth cut and fine finish. We offer a range of attractive stainless steel ice buckets that are available in different shapes and sizes. These buckets are corrosion resistant and have smooth finish that ensure easy maintenance. Our range of ice tongs features a contemporary brushed finish and soft-grip insets along the sides that keep hands from slipping. These tongs have a sharp teeth to pick up ice cubes and lower gently them into glasses without splashing. We produce melange of wine bottle and glass stakes in different designs and patterns. Our range of stakes is available in traditional and contemporary designs. Stylish wine chillers can hold number of wine bottles. The diminutive handles on the sides add to the visual appeal of this utility item. The design of our wine glasses has unique appeal and attracts the onlookers. These delicate and sophisticated wine glasses are ideal to use for the special occasions to make the drinking a pleasurable experience. Functional and attractive, our wine racks are decorative items that add style to any space. Specially defined to keep the wine bottles, our exclusive collection is available in a variety of designs and shapes. Our unique collection of bar room accessories are sturdy, durable and elegant. Made from best quality materials, these accessories make every serving a royal treat. We offer different types of andirons to meet different choices of the customers. These andirons are available in a wide choices of sizes, shapes, colours and front figurine. Our coal baskets are designed to provide embellishment to the home decor and protection from winter simultaneously. Our fascinating coal basket are available in stealing snazzy patterns. Excellent option for beautifying interior decor, our decorative Fire Baskets feature the enrapturing designs and alluring finishes. It is certainly amazing to have a functional as well as decorative piece of fire bellow. Our range of fire bellows is designed to provide complete functionality while increasing the decor of interiors. We offer a range of high quality fenders with different base designs and additional fittings for an enhanced look. Each fender is carefully designed and hand-crafted to recreate the charm of the golden aera. Give your fireplace an updated and stylish look with our decorative fire screens.  Perfect item to protect the flooring from flying embers while creating a royal feel. The elegantly designed range of fire pits is ideal to be used at the patio or outer portion of home or garden. These fire pits are available in variety of sizes and shapes to meet the varied end requirements. We offer a range of fire set make fire tending an easy task. These sets include poker, brush, shovel, foot poker/ tongs and more. QP India brings forth the best array of Indian artifacts that meet the interior furnishing requirements of discerning buyers. Every product offered by QP India is an example of exclusive Indian artistry.